Stagecoach England. 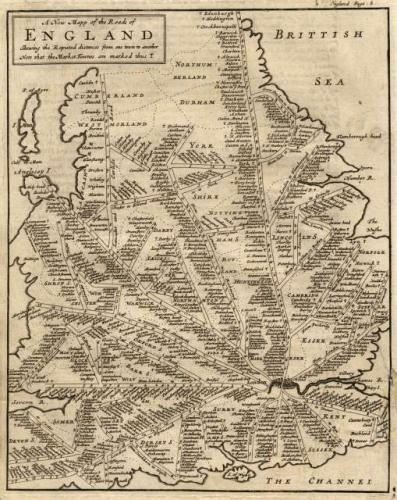 Very interesting uncoloured English map showing the roads and distances between towns. This map is probably based on John Ogilby's survey of England's roads in 1675 and is derived from a road map of England and Wales by John Seller Sr., published circa 1690.